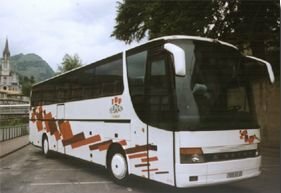 SETRA KASSBOHRERs with 50 to 56 seats. We also have 2 sleeper coaches. All of them are equipped with toilets, video, air conditioning and refrigerator.